Jamieson vs Whistler is a British Columbia Supreme Court decision rendered on June 19, 2017. 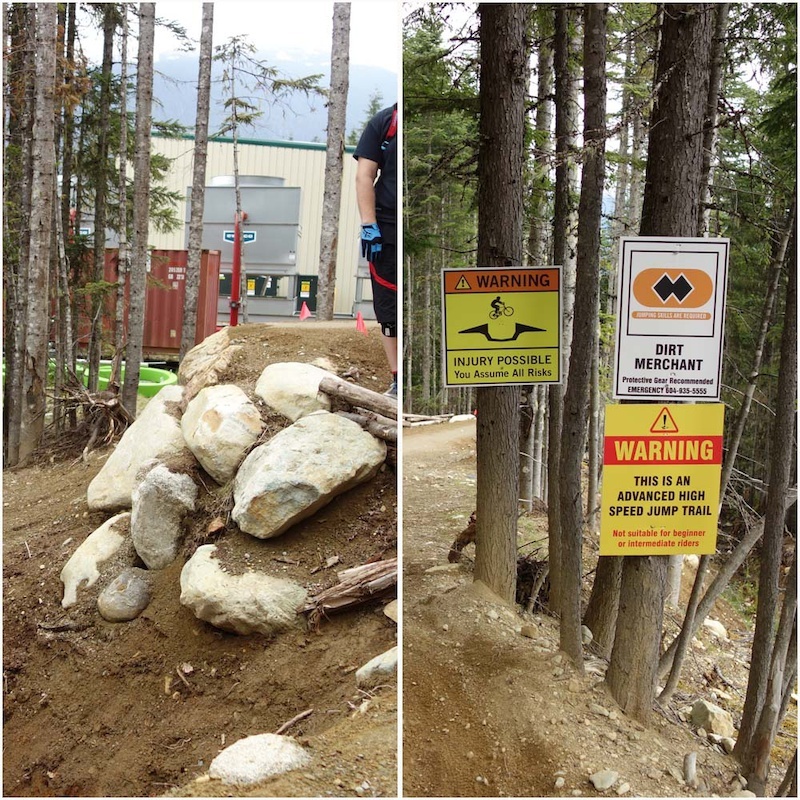 Blake Jamieson was rendered a quadriplegic following a serious spinal cord injury sustained on a crash on the A-Line rock drop in the Whistler Bike Park (“WBP”). Jamieson sued Whistler and lost, Madam Justice Sharma finding that Whistler’s release operated as a binding contract where Jamieson had waived his rights to sue. The full text of the decision is on the the B.C. Court website. Essentially Blake Jamieson rode Whistler Bike Park (“WBP”) and crashed on A-line. Injuries sustained in the crash rendered him a quadraplegic. Jamieson had signed the WBP’s release/waiver but sued Whistler alleging that they were negligent and that the waiver he signed was not enforceable. To summarize, the court found that the waiver was enforceable and that Jamieson could not sue pointing to Jamieson’s experience with high-risk sports (skiing and biking) plus his past experience as a volunteer bike patroller at the bike park. Despite the court’s decision focusing on the waiver an unstated but very important finding was the court’s application of ski-lift decisions to mountain-biking. The court looked at the totality of the accident and Whistler’s procedures in safety and presenting the release. The take-home message from this case for consumers is that if you participate in high-risk activities in B.C. and you sign a waiver, you are almost certainly on your own; go into things with eyes wide open. For operators, safety should be #1 but a properly signed waiver is not far behind. Keep your operations and your customers safe; but document that you’ve done so. Doesn’t matter if you’re Josh Carlson or Joe Schmoe. Customer Service will make you read the waiver, explain it, and ensure you agree to it. Obviously the decision is a big deal in the mountain-biking world. It is also a big deal in the community of lawyers who are interested in mountain-biking (there are quite a few of us out there). The purpose of this article will be to to comment on the Jamieson vs Whistler decision with the primary audience being the operators of commercial biking operations in B.C. (ie bike-parks for the most part), and mountain-bikers as users. This decision is also very relevant to anyone who uses releases/waivers for biking (eg guiding, instruction, events) and for any kind of adventure tourism activity, whether as a consumer or organizer/operator. As opposed to legalese, the article will strive to use plain-language (sometimes known as English) as much as possible. Now for the disclaimer. I am a lawyer whose main area of practice is in technology specializing in commercializing intellectual property. I also have written waivers for commercial operators. I also do a fair amount of trail-work and volunteer time in trail advocacy hence my interest in all things legal and mountain-biking. Having said that I have no personal expertise in personal injury law (other than a keen interest) so my comments on the Jamieson vs Whistler decision are very general in nature. Furthermore although I am a lawyer I am NOT your lawyer. Do not take any of this article or any comments I may make as legal advice. It first must be said that Madam Justice Sharma’s written reasons are replete with quotable quotes. One such is this Ontario/Flatlander burn. It is also a burn on the universe of Internet keyboard warriors who over-estimate their biking ability. This quote is from Blake Jamieson’s expert witness (Geoff Pendrel) and is completely irrelevant for the purpose of this case comment but I cannot resist inclusion. I’ll use the convention that all quotes from the Jamieson v Whistler decision are in italics with the paragraph numbers so you can read them in context if you like. The release in question (which Jamieson acknowledged signing) is described below. There is also lots of signage in the WBP and in particular on A-Line. These findings hurt Jamieson’s argument that he didn’t understand the release. At the beginning of the A-Line Trail is a sign with the title “WARNING” in large yellow letters printed on a red background. Beneath that in red text on a yellow background is the following: “THIS IS AN ADVANCED TRAIL. THIS FIRST FEATURE IS A REFLECTION OF THE SKILL NEEDED TO RIDE THIS TRIAL. IF YOU ARE HAVING TROUBLE NOW, YOU SHOULD NOT START”. …..
Jamieson argued that he was unaware that riding in the bikepark was potentially dangerous and carried the risk of spinal injuries. The decision poured water on this assertion; pointing to Jamieson’s experience. Particularly damaging to Jamieson’s credibility was his own reports filled out when he was a volunteer patroller. This is fairly impressive record-keeping for decade+ old reports. Blake Jamieson also contended that he was not adequately informed about the waiver. Justice Sharma debunked this argument speaking favourably about Whistler’s processes and procedures. They gave the person time to read the Release and before witnessing it would always ask: “Have you read and understood what you have signed?”. They would not witness the patron’s signature unless the patron answered yes to that question. This decision was on a summary basis. That means that it wasn’t a full trial on all potential issues but just on one threshold issue; whether or not the release was valid and enforceable. In other words did the release that Blake Jamieson sign waive his rights to sue Whistler? If Blake Jamieson won on that point and retained his right to sue Whistler, the full case with all its issues would have gone to trial in 2018. If Whistler won the summary trial (which it did) then the case was dead and the court could save some time. Madam Justice Sharma applied past B.C. decisions (these are called precedents) regarding ski area releases and accepted that these precedents applied to mountain-biking. As a matter of strategy the Canada West Ski Areas Association takes lawsuits (no matter how frivolous) to trial without settling (except in exceptional circumstances where there is clear fault on the part of the ski area). B.C. ski areas almost always win (you can count the exceptions on one hand) and many of these wins have resulted in law saying that releases are valid and enforceable. B.C. courts respect these precedent past judgment of B.C. courts. That we now have a case applying the same reasoning used in ski areas to for-profit commercial mountain-biking operations is significant and a HUGE win for biking operations. As does many other jurisdictions, B.C. has a general consumer protection law called the Business Practices and Consumer Protection Act. This law protects consumers from being bound by releases/waivers if the releases were deceptive or promote “unconscionable acts or practices”. Justice Sharma took a past B.C. decision from 2012 (a Whistler zip line case where Cougar Mountain Adventures injured guests by sending them down the same zipline at the same time) interpreting the consumer protection law so that a release/waiver was still valid and enforceable even where an operator was negligent. Having found that Whistler did not behave deceptively or in an unconscionable fashion Justice Sharma further found that the B.C. consumer protection law didn’t apply and Jamieson had waived his rights to sue. It’s worthwhile noting that this part of the decision was by no means a slam-dunk as two different Ontario decisions (both ski-area release/waivers) found that plaintiffs could still sue ski areas even though they had signed waivers on the basis of Ontario consumer protection legislation. In the Jamieson vs Whistler judgment, these Ontario precedents weren’t cited. A past B.C. precedent was all the guidance a B.C. court needed to uphold the waiver despite the B.C. consumer protection law. Jamieson vs Whistler was a trial on one threshold question; that question being whether or not the waiver/release signed by Blake Jamieson operated to prevent him from suing Whistler. Justice Sharma ruled that the waiver applied so the lawsuit was dead. This also means that other questions which may have become relevant in a full trial (What kind of responsibility did Whistler have to Jamieson? 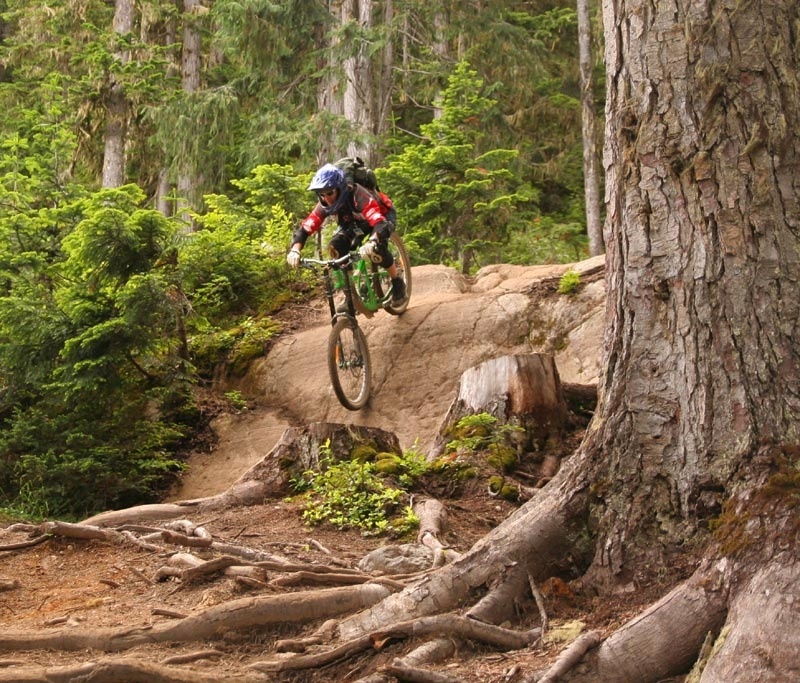 Was Whistler’s trail maintenance good enough? Was Whistler’s post-accident care good enough? How much did Jamieson’s actions contribute to his own injuries?) were not answered. Jamieson vs Whistler made these important points all of which are valid in British Columbia to commercial biking operators and their customers. Point 1. Releases are valid. Releases are enforceable. They are enforceable for skiing. They are enforceable for ziplines. They are enforceable for mountainbiking. It’s reasonable to predict that if you agree to a release when participating in adventure tourism in B.C. that you have waived your rights to sue. From the B.C. operator/organizer point of view if you have a valid, enforceable release you have robust protection. 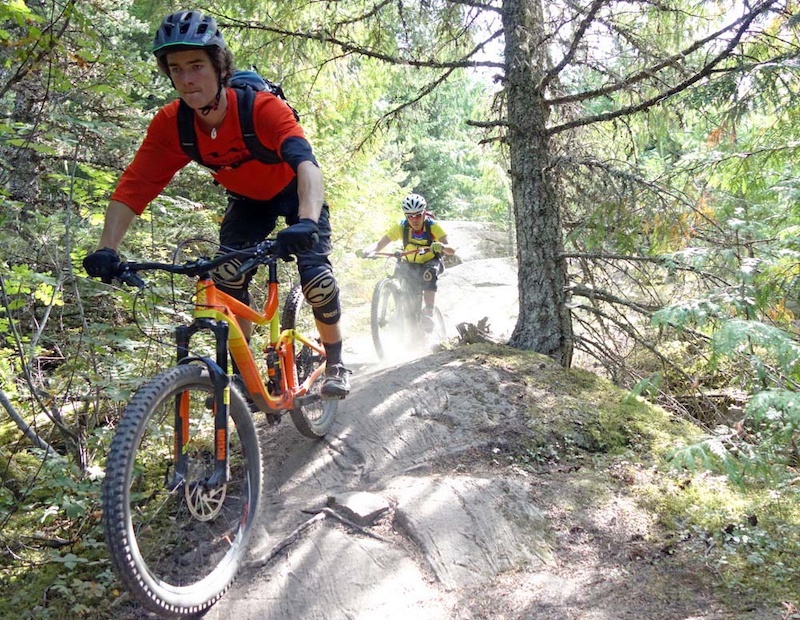 This means not only bike park operators but also clubs putting on social rides, informal races or get-togethers; or biking tour companies, instructors and guides. If you are a customer of a B.C. commercial recreational biking operation or participate in an event and if you’ve signed a waiver, this means you’re on your own. If you’re concerned about injury then either scale back or walk away and don’t partake. Or alternatively get your own insurance. Point 2. Context matters for releases/waivers. In Jamieson vs Whistler, the court looked at the language of the release, the personal circumstances of Blake Jamieson and how the release was presented to him. On the language of the release per Justice Sharma said ” I find any reasonable person, who can read English, faced with the document, would understand that the risks of using the Park are very serious, and that by signing it, the person waives his or her right to sue Whistler” which is as about an unequivocal a statement as you get. On Blake Jamieson’s personal circumstances the judgment highlights that Jamieson was an educated person, conversant in English and knowledgeable about releases and participation in high-risk activities. On the topic of presentation, the court’s approvingly cited Whistler’s policies on presenting the release to every customer. From the operator point of view this means that if you use a release/waiver take the time to carefully explain the document to your guests/customers. Take pains that they understand what they’re signing. Make sure that the release actually says what you intend it to mean. From the guest/customer’s point of view signing it and saying that releases/waiver’s aren’t worth the paper they’re written on or blithely ignoring the language and/or signs isn’t going to make a difference. Point 3. Policy and procedures matter. It’s one thing to be able to document that you have a release/waiver; it’s quite another matter to prove that the release has been presented to the customer and that the customer signed it. Noteworthy in the Whistler judgment is the evidence from two customer service reps that it was their invariable habit to present the release and make sure the customer understood it – no matter how big the lineup was in front of them. I also spoke to Joanne J, whose last experience at the front counter was 8 years ago who had this to say “…the waiver process is still engrained in my memory. We were ALL taught to deliver it in a very specific, very clear and precise way so that if anything should happen and years later we be called back, we would remember precisely what we said. The training we had was ironclad…”. Another call-out in the Jamieson vs Whistler case is Justice Sharma’s reference to the invariable policy of patroller inspection of trails in the WBP specifically citing Patroller Dom Balik’s A-Line inspection. His habits in patrol inspections were so ingrained that he could confidently say that he would always inspect the A-line rock drop and would always report problems. I spoke to Sharon B who confirmed this. Sharon’s last volunteer patrol shift was 8 years ago but could still recount that “…safety was important on patrol inspections. We would ride or walk trails and features. If there were problems we would report them. And we would document everything”. This was an interesting case on so many levels. It’s hard to think of a plaintiff who had so many facts that weighed against him (this is said WITHOUT JUDGING BLAKE JAMIESON’S INJURIES OR PERSONAL SITUATION). Combine this with Whistler’s safety practices, Jamieson’s past experience skiing, biking and patrolling weighed in favour of the finding that the Whistler waiver was a complete bar to lawsuits. But one can certainly think of situations where an operator or organizer isn’t as careful, as good as documenting good practices or where the plaintiff is in different (and more sympathetic) circumstances. Courts and legal commenters in ski area lawsuits have made the point that one cannot get away from the consequences of negligence simply by getting a signed waiver/release. Those comments make the point that the totality of an operation’s safety processes are relevant . A take-away for operators and organizers is that one doesn’t simply let safety slide and then rely on the magic bullet of a release to avoid liability. Instead the operator/organizer should have safety as the primary concern and use releases as one tool to warn customers about potential risk and have good insurance (this pays for your defence lawyer). On the non-legal side this also poses questions about what kind of world we want? There’s some history behind the WBP. Historically there were internal barriers to the concept of a bike park. There were no templates for insurance and no method of assessing or managing risk. 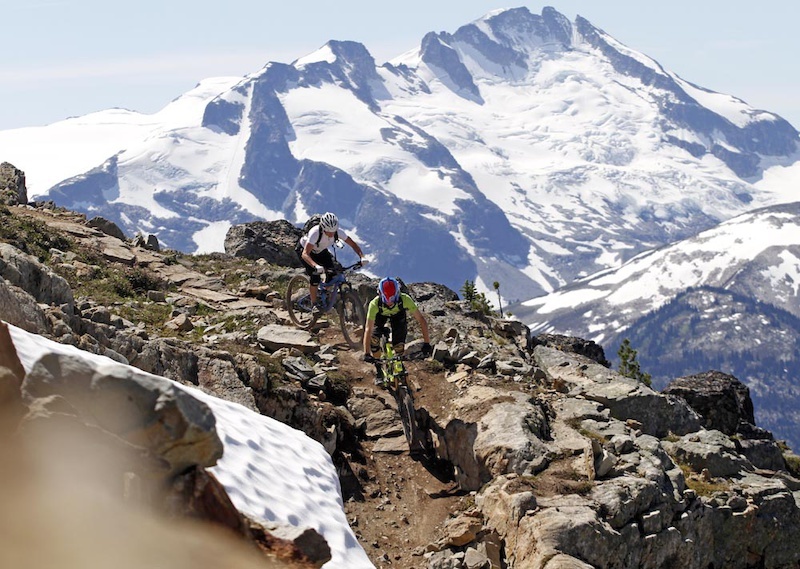 There was the innate conservatism of the Whistler ski area operations management people asking the Whistler biking champions why they should even take the risk. It’s the decisions like Jamieson vs Whistler which make it easier to take that risk; for commercial biking operations to push the envelope, to expand terrain or to build more technical features. Without legal decisions recognizing that participants in high-risk activities assume that risk and waive their right to sue it’s reasonable to assume that many commercial biking operations would either neuter the experience or simply fold. Is that consumers want?